Picking a stethoscope for animals isn’t all that different from picking one for humans – for the most part, you’re going to be looking at the same criteria. The right stethoscope for a veterinarian or a student training to be one will depend partly on the environment (are your working conditions noisy and chaotic, where better sound insulation and acoustic clarity are imperative? ), type of patient (are you working with baby animals, smaller animals like birds and lizards, or larger animals anywhere from large breed dogs to animals at your local zoo?) and of course, your budget. Other more specific considerations include factors like how aggressive or feral the animals you tend to work with are – if you’re frequently responsible for animals likely to act hostile or capable of hurting you, it’s better, for instance, to pick a stethoscope with longer tubing so you can maintain a safe distance when running through check-ups. Then of course is the fact that a stethoscope is a rather personal tool for a medical professional – it’s largely up to preference, and what is comfortable and capable in someone’s books may not make the cut in another’s. With all this in mind, we’ve rounded up our picks for the best stethoscopes for veterinarians, covering our bases on functionality, budget and the types of patients you’ll likely be treating. 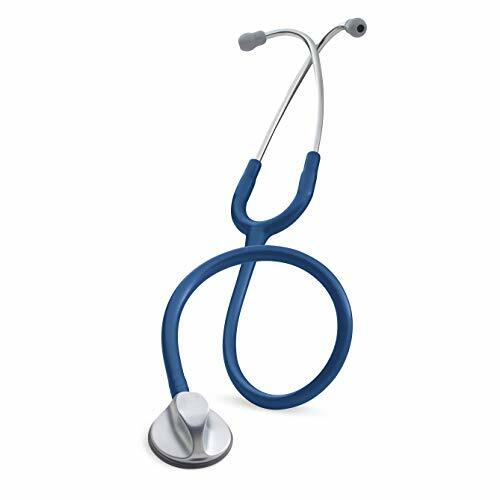 Although this has ‘Veterinary’ in the title, this versatile stethoscope proves its mettle – EMTs and paramedics swear by this unit as an extremely hardy one to have in your arsenal, capable of withstanding rough use and delivering several years of impressive performance, the enhanced acoustics making it a brilliant option for medical professionals who are a little hard of hearing. The extra-long tubing of this stethoscope clocks in at 32 inches, always handy when you’re checking up on potentially aggressive or feral animals since you can keep your distance if you need to, but without compromising acoustic performance. 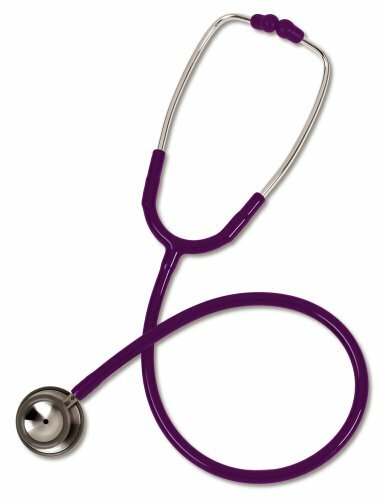 Devoid of latex or phthalate plasticizers, the stethoscope is safe to use on both people and animals who might be sensitive to those materials. The stethoscope features a tuneable diaphragm, capturing a range of frequencies, from low to high, by simply alternating the pressure with which the chestpiece is applied to the patient’s skin. The tuneability ensures greater control and better accuracy in diagnoses, as well. The diaphragm and rim are both chill-resistant, so you don’t have to worry about causing discomfort to or accidentally aggravating your patients. Ergonomically designed for user comfort, the stethoscope features an anatomically designed headset to conform to the natural curvature of the head and ears, so the ear-pieces sit in place snugly and comfortably. Soft-seal silicone ear-tips serve to both insulate sound and prevent external ambient noise from filtering in and interfering with the amplified frequencies you’re looking to pick up, and to be comfortable to use. Falling under a nice price cap if you’re on the lookout for a quality budget-friendly option, this stethoscope features a dual-sided chestpiece with a bell and diaphragm for alternately picking up high and low range frequencies, also making it a great option if you sometimes have to work with smaller or baby animals. 33-inch long tubing also makes it an ideal option for working with potentially aggressive animals so you get to keep a safe distance when necessary, the unit featuring binaurals and chestpiece structured out of stainless steel and an alloy sound conductor enclosed within the tubing for maximum clarity and crispness of sound transmission. The tubing is latex-free, again a great option that can be used without fear of triggering allergies in sensitive patients. Since this is a single lumen tubing option, it’s better used in quiet environments such as a vet’s office rather than emergency areas or noisy environments, since it isn’t as great at cancelling out noise interference as our top pick. Nonetheless, the impressive performance of this durable and pocket-friendly unit is still a great option for veterinary trainees and practitioners alike. 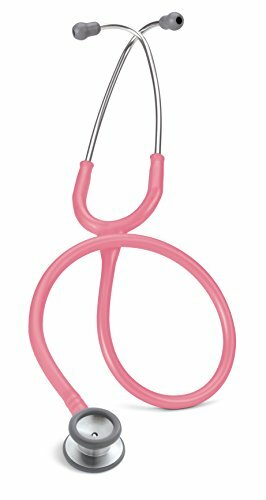 If your clientele includes, or you happen to specialize in, smaller animals like reptiles and birds, this stethoscope is great for your needs. The dual-sided chestpiece features a diaphragm of diameter 2.7 cm, the small disc more appropriate not just for infants, as the name suggests, but also the smaller members of the animal kingdom. The open bell and floating diaphragm make for a broad range of acoustic sensitivity to aid precise diagnoses, the non-chill rim and diaphragm ensuring patient comfort, while the noise-insulating tubing is latex-free to avoid triggering off any allergies or aggravating your patients. The soft-seal silicone ear-tips prevent external noise filtering in when you are wearing the stethoscopes, while also enhancing user comfort in conjunction with an anatomically designed headset angled to align naturally with our ears. Another great option suited for smaller animals, including puppies, kittens, rabbits etc., the unit’s dual-sided chestpiece covers an entire range of low to high range frequencies, enabling you to work with your tinier patients and capturing subtle and faint sounds during check-ups without issue. The diaphragm and rim are chill-resistant, so you don’t cause your patients discomfort when using it, the tubing latex-free to prevent aggravating anyone sensitive or allergic to certain synthetic materials. At 28 inches, the tubing is long enough to let you keep your distance in the likelihood that your patient is likely to grow restless or hostile, durable and malleable for extensive use without showing signs of wear. 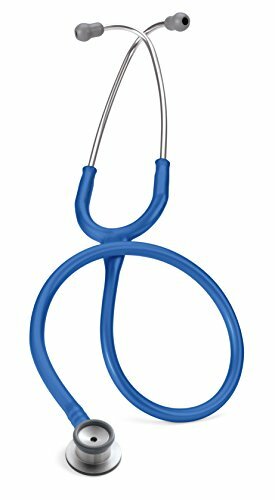 As with the other brilliantly designed Littmann stethoscopes on this list, this unit too features an anatomically designed headset, conforming to the angle of the ear so it sits in place comfortably, with soft-seal silicone ear-tips for added comfort and sound insulation. Kensguide.com is a participant in the Amazon Services LLC Associates Program, an affiliate advertising program designed to provide a means for sites to earn advertising fees by advertising and linking to amazon.com.